I am offering a two part training on Biblical fasting to anyone that is needing guidance and/or support on their fasting journey into greater levels in the glory and greater freedom than they have known before. I believe that this is an extremely important equipping for those that desire to go deeper in Christ. Whether you have experience with fasting and just need a refresher course and encouragement to go for it again, or you have never fasted before and have no idea where to even start, this course is for you. Because I know that this is an important and relevant topic that needs to be released in this hour, I am making it available to anyone that wants to participate FOR A DONATION OF ANY AMOUNT. Sow into the ministry and into your own progress by giving your BEST DONATION. Some will be able to sow more, others less. I believe that when you step out to fast, or to fast again, the grace and power of God are going to show up and empower you to move into greater levels of glory and freedom than you have ever experienced before. The ebooklet will be sent to the email that you provide along with the link to TWO video teachings. The first teaching deals with the spiritual side of fasting and the second with the natural practical side. 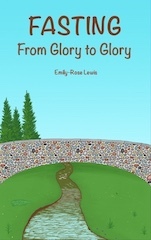 Add a note to your PayPal donation or send me an email at info@emilyroselewis.org to let me know you have made your donation and want to sign up for Fasting From Glory to Glory and make sure and add my email address so that the training won’t end up in your junk folder. Blooming Where You’re Planted is a collection of prophetic words that are grounded in scripture and reveal the heart of God with a fresh anointing. For those that need healing, direction or are desperate to have their hearts penetrated and filled with hope the spiritual nourishment within the pages of this devotional, written by Emily-Rose Lewis and illustrated by her husband Dave, will feed the soul and speak directly into relevant life circumstances to bring a wealth of help, comfort, wisdom, peace and strength. As you read through each passage expect to experience the radiance of the love of God as if Jesus is in the room speaking life directly to you. If you are wounded and in the ER room of life and need a vital shot of encouragement it is sure to be found within the pages of this book. The words will resonate with the Holy Spirit inside of you and provide a wonderful source of divine insight to light the path beneath your feet. No matter what season of life you are walking through Blooming Where You’re Planted will supply the spiritual insight to enable you to bloom in every season of life. This book is not just for Christians but for anyone that believes in God. Please consider donating a book by adding $15.45 per book to be distributed by Emily-Rose Lewis Ministries to female prisoners and women living in homeless shelters. If you buy directly through this ministry page I will be sending you a signed copy. Copies for donation can only be purchased through this ministry page. 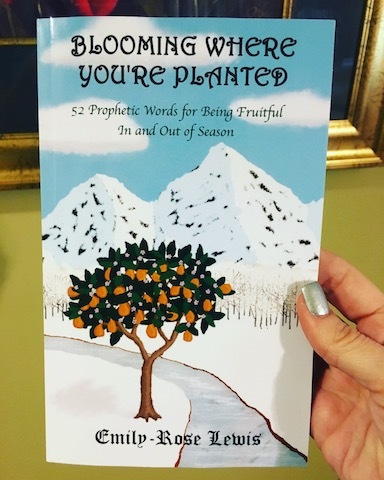 Blooming Where You’re Planted is also available through publisher: https://www.createspace.com/7120015 or on amazon. Fill out the form below with your mailing address after making the payment via PayPal. Please specify in the PayPal ‘Note’ your order for book and if you are donating the book, or any additional books to the ministry to be distributed to prisons and homeless shelters. It is imperative that you type your mailing address in form below, especially if your PayPal address is different then where you would like to receive your book. God Is Going to Confirm His Will With Supernatural Signs: A Word. A Story. A Lesson. A Prayer.